EU Commission president Jean-Claude Juncker on Wednesday (30 January) warned the UK that the agreed Brexit withdrawal agreement "remains the best and only deal possible" - a day after British lawmakers demanded in a vote that prime minister Theresa May renegotiates with Brussels the Irish backstop part of the Brexit divorce agreement. 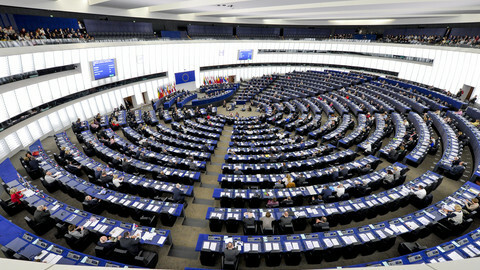 Juncker said that the vote in the House of Commons "changed nothing". 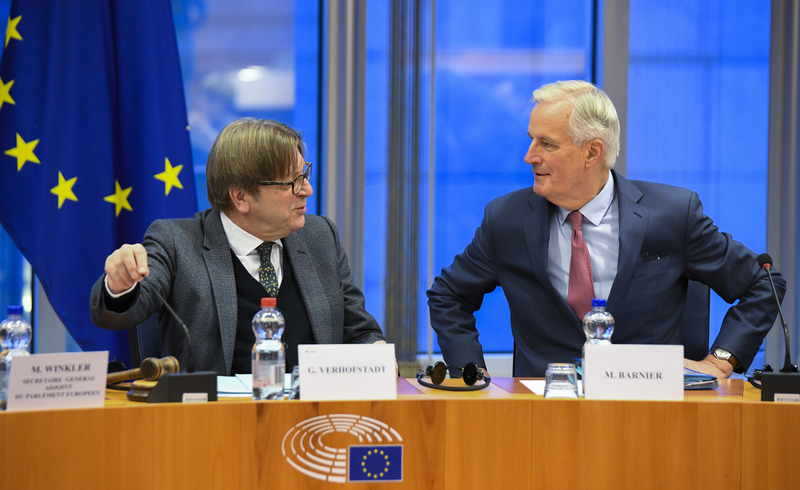 "The withdrawal agreement will not be renegotiated," Juncker told MEPs in Brussels, adding that the EU has been saying so since November, when EU leaders adopted the deal in agreement with the UK government. The key issue remains the so-called backstop that would keep the UK in the EU's customs union to avoid a hard border on the island of Ireland, when it becomes the new frontier between the UK and the bloc. EU leaders and top officials have pledged that the backstop would only be a last resort measure, if no agreement is agreed on the future relations between the EU and the UK by December 2020. The commission chief attempted to dispelled British hopes that EU countries will abandon Ireland and the backstop fearing a no-deal Brexit will create chaos. "This is not a game and, and it is not a bilateral issue. It goes to the heart of what being an EU member means. Ireland's border is the EU's border, and our priority," Juncker said. Juncker repeated the position EU leaders that the backstop arrangement cannot be time-limited as it would not then provide a safe option to fall back on. Juncker also told MEPs that it is not clear what British lawmakers want, and Tuesday's vote increased the risk of a disorderly Brexit at the end of March. EU chief negotiator Michel Barnier said that rejecting the backstop would mean rejecting a solution to avoiding the hard border that was found together with the UK negotiators. Also on Wednesday, Germany's foreign minister, Heiko Maas, highlighted Berlin's rejection in a tweet: "Germany and the entire EU will stand by Ireland on the backstop. We will not allow Ireland to be isolated on this issue." 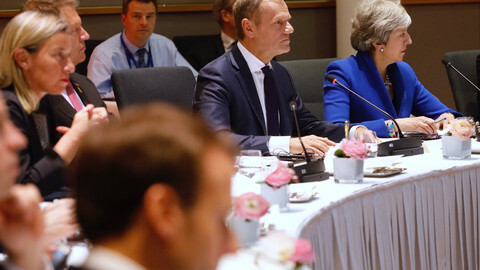 EU council chief Donald Tusk will speak to May on Wednesday evening, and EU ambassadors were meeting in the afternoon to have a first discussion on how to respond to May. "There is limited appetite for such a change in the EU and negotiating it will not be easy," May admitted on Tuesday to MPs, who voted 317 votes to 301 to support the amendment backed by Conservative lawmaker Graham Brady. Brady's plan proposed "alternative arrangements" to the Irish backstop - without going into any details. 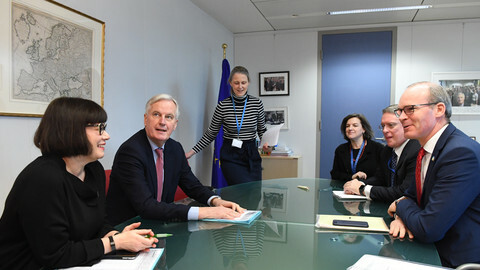 In Brussels, officials, diplomats and journalists talk of a never-ending 'Groundhog Day', as the UK's demands for "alternative arrangements" on the border, a time-limit to the backstop, or a unilateral UK withdrawal from the backstop, are not new, and renegotiation has been ruled out for months. "It is difficult to say whether member states would be open for discussion without knowing what the UK wants exactly," one EU diplomat said, adding that "alternative arrangements" are too vague. Given that the next vote on the Brexit strategy in the House of Commons on 13 February, it leaves only two weeks for renegotiations, which makes any agreement "almost entirely impossible", the diplomat added. This echoed what the EU's deputy chief negotiator Sabine Weyand said at a Brussels event on Monday, when she also ruled out renegotiations. "The Brady amendment doesn't spell out what alternative arrangements are, we haven't found them, and the UK negotiators have not been able to explain them, and that is not criticism, because they don't exist," she said. 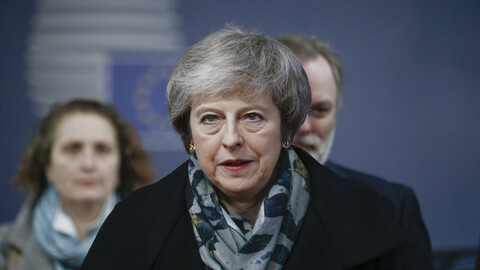 She also warned that other UK requests such as the time-limit to the backstop and the possibility for Britain to quit the backstop unilaterally have also been heavily discussed among negotiators, but were dismissed. 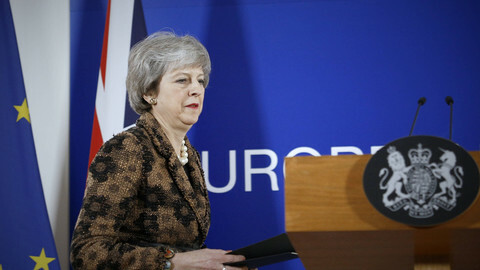 May's intention to go back to Brussels and ask EU countries to open up the already agreed withdrawal agreement nevertheless puts the EU in an awkward position, described as a "Catch 22" by one official. 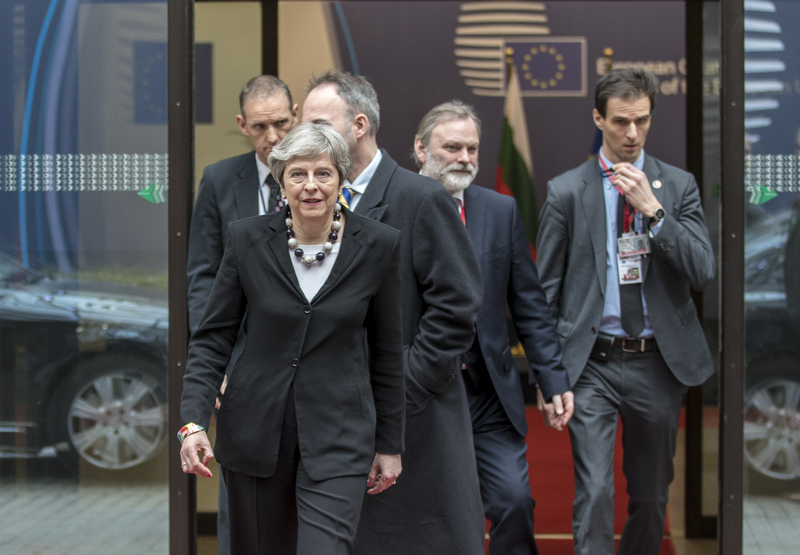 The EU is keen not to be blamed for a no-deal Brexit or the breakdown in talks and would want to avoid the perception that May has finally found a parliamentary majority, but the inflexibility of EU member states had then stopped her from achieving a deal. However, the EU has also been repeating for months that the withdrawal agreement is closed, and it is not possible to open it. 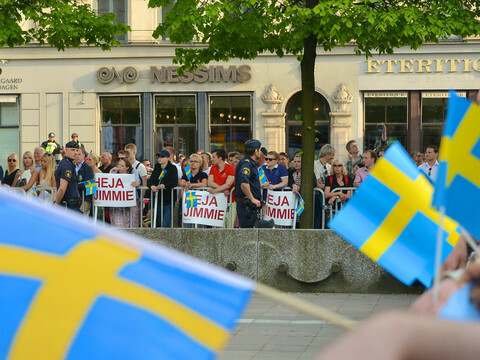 They raised the stakes by ruling out renegotiation, and it would be difficult to backtrack now without losing face. "The EU commission always worked with the UK, never against it. I, therefore, find it hard to accept some British MPs are now engaging in a blame game," Barnier told MEPs on Wednesday. The EU has been nudging London to seek changes in the political declaration attached to the withdrawal agreement, that sets out the goals in a future relationship. 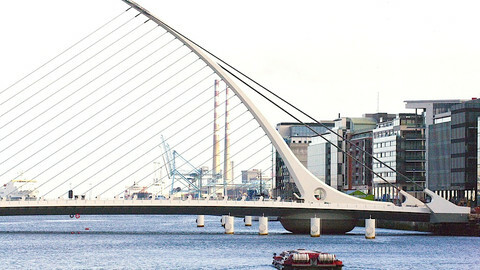 Senior EU officials, along with Barnier, have been tacitly suggesting to London to embrace the idea of remaining in the EU's customs union, which would solve most of the issues stemming from having to avoid a hard border on the island of Ireland. The opposition Labour party supports staying in the customs union, but hardline Brexiteer Tories reject the idea. Meanwhile, the European commission adopted the last set of measures in preparation for a no-deal Brexit on March 29. They reveal that the EU wants the UK to continue playing into the EU budget even if there is no withdrawal agreement in place overseeing the financial settlement, or UK beneficiaries of EU funds will lose their money. "UK beneficiaries of EU funding would continue to receive payments under their current contracts, provided that the United Kingdom continues to honour its financial obligations under the EU budget," the commission said in a statement. "The UK would be expected to continue to honour all commitments made during EU membership," the statement said. If the UK leaves without a deal, there will be no agreement in place to settle the bill between the UK and the EU. There are concerns on the EU side that the UK would stop paying into the EU budget before the end of the budget cycle in December 2020, leaving a hole in the bloc's finances, and forcing EU countries to pick up the bill.